In previous posts on the women prophets in the Old Testament, I have discussed Deborah, Isaiah’s wife, and Huldah. Today I will study Noadiah, the prophetess. Most people who read the Bible are not familiar with Noadiah. The reason is that she is mentioned only once in a book that many people do not read very often. To introduce Noadiah, I will cite the only passage in which her name is mentioned and then look at her person and what we can learn about her. Noadiah is mentioned in one of the prayers of Nehemiah. In his imprecation, Nehemiah said: “Remember Tobiah and Sanballat, O my God, according to these things that they did, and also the prophetess Noadiah and the rest of the prophets who wanted to make me afraid” (Neh. 6:14). Although Nehemiah’s prayers indicate that the prophetess Noadiah and the other prophets were making him afraid, the implication of what Nehemiah meant by these words is not clear. In addition, the text does not give any information about Noadiah, except that she and the nameless prophets somehow were threatening Nehemiah’s life. 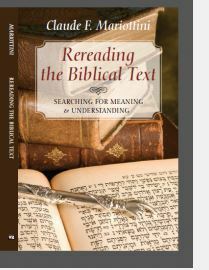 There are several issues in the text that makes it difficult to understand Noadiah’s role in Nehemiah’s work. The first issue that makes the identification of Noadiah difficult is her gender. The Hebrew Bible calls Noadiah hannabîah, the prophetess. This clearly indicates that she was a woman. However, the Septuagint, the translation of the Hebrew Bible into Greek, identifies Noadiah as a man and calls him prophete (a masculine word), the prophet. Noadiah, as the name of a man, appears in Ezra 8:33 as the son of Binnui. This Noadiah was one of the Levites who weighed the silver, gold, and vessels in the temple. Personally, I believe that the Septuagint should not be trusted in identifying Noadiah as a male prophet. It is possible that the translators of the Septuagint were confused about Noadiah’s gender or that they believed that the “him” of v. 12 referred to Noadiah rather than to Shemaiah. The second issue is the role Noadiah played in the conspiracy against Nehemiah. A brief summary of the text found in Nehemiah 6:10-14 will help clarify the problem. The text does not provide any clue on how Nehemiah realized that Shemaiah was not a prophet sent by God, but a false prophet hired by his enemies to intimidate him. It is possible Nehemiah realized that Shemaiah was a false prophet because in the past his enemies had used false prophets to intimidate Nehemiah and those working with him (verses 8–9). Nehemiah probably realized that to run away from his enemies and hide himself in the temple would give a victory to his enemies and demoralize him in the eyes of the people who were working with him. 1. Noadiah was an influential prophetess who probably had an important role in opposing Nehemiah. The reason for this conclusion is that Noadiah is named by Nehemiah, while the other prophets are mentioned as a group. 2. Noadiah and the other prophets opposed the political and religious work of Nehemiah. 3. The threat that Noadiah and the other prophets posed to Nehemiah was real, so real that Nehemiah was afraid for his life and prayed to God to vindicate him against Noadiah and the other prophets. Another issue that arises in the opposition between Nehemiah and Noadiah is the reason Nehemiah feared her and the other prophets of Jerusalem. The context seems to indicate that Noadiah and the other prophets opposed the construction of the walls of Jerusalem. When Nehemiah embarked on his project to rebuild the wall (Neh. 2:1-20), he found opposition from local officials: “When Sanballat the Horonite and Tobiah the Ammonite official heard this, it displeased them greatly that someone had come to seek the welfare of the people of Israel” (Neh. 2:10). Although the context of the confrontation between Nehemiah and the local leaders is the rebuilding of the wall, Wilda Gafney offers a different reason for the confrontation between Noadiah, the prophets, and Nehemiah. Gafney wrote: “I suggest that she [Noadiah] was opposed to his [Nehemiah’s] policies, which included breaking apart families and leaving women and their children as persons without status or identity, with neither shelter nor sustenance” (2008:111–12). Gafney bases her view on the fact that the walls of Jerusalem were designed to protect the people and that the prophets of Jerusalem would not oppose the rebuilding of the walls protecting the city, since such a project would have the support of all citizens of Jerusalem. Rather, Gafney believes that Nehemiah was continuing the process of ethnic purity began by Ezra. When Nehemiah saw that many Jews had married foreign women and many of their children were unable to speak Aramaic, the language spoken in Judah after the people returned from Babylon, Nehemiah “contended with them and cursed them and beat some of them and pulled out their hair; and made them take an oath in the name of God, saying, ‘You shall not give your daughters to their sons, or take their daughters for your sons or for yourselves’” (Neh. 13:23-25). If Gafney’s theory is correct, then the mention of Noadiah together with Tobiah and Sanballat reinforces her theory. Tobiah is identified as an Ammonite (Neh. 2:10). Although he was a foreigner, he was related by marriage to the high priest Eliashib, who prepared accommodations for him in the temple precincts (Neh. 13:4–5). Sanballat was a Horonite (Neh. 2:10), a descendant of the people which the Assyrians settled in Samaria after the conquest of the Northern Kingdom in 722 BC. Sanballat was the governor of Samaria and opposed Nehemiah on political grounds. Since Tobiah and Sanballat had hired the prophets of Jerusalem to discourage Nehemiah, it is certain that they opposed him on political, religious, and economic grounds. Nehemiah decided not to meet with them because he believed Tobiah and Sanballat had plans to harm him. If Noadiah and the false prophets hired by Sanballat opposed Nehemiah because of his policies on mixed marriages, the marriage of Sanballat’s daughter to the grandson of the high priest Eliashib (Neh. 13:28) may be one evidence for this opposition. From the meager evidence the biblical text provides about Noadiah, it is clear that Noadiah was a leader among the prophets of Jerusalem who opposed Nehemiah and that she was a woman of great influence since Nehemiah had to pray to God to help him in his struggle against her. It is unfortunate that much about Noadiah and her work as a prophet remain unknown to us. If she was a false prophet or a prophet who took the side of the women who had to leave their husbands because of religious intolerance, we will never know. In my last post on the women prophets, I will discuss the unnamed prophetesses mentioned in the Old Testament. Gafney, Wilda C. Daughters of Miriam: Women Prophets in Israel. Minneapolis: Fortress Press, 2008. This entry was posted in Book of Nehemiah, Nehemiah, Noadiah, Prophetess, Prophets, Women and tagged False Prophets, Nehemiah, Noadiah, Prophetess, Women Prophets. Bookmark the permalink. Dr. Mariottini, your WordPress installation is infected, probably because of your theme (spammers often inject their advertisements into free themes). In a div that is styled to be hidden, “div class=ilh2,” there is advertisement for cialis, levitra, etc. I first noticed this because I read you in a blog reader, which removes native blog styling. It can possibly be fixed with just a change in theme. Thank you very much for this information. I talked to friend in IT and he told me that my blog was hacked. Someone placed a malicious code that brings the spam. He will be working on this problem. If you find another hacked post, could you send me an email and let me know which post. Would love to talk to u. I am building argument that Noadiah was not a false prophet. My previous work is free download at prophetsgospel.com. My name is Wayne Scott. (620)251-5050. Send me an email and we can talk about Noadiah. Appreciate your diligence. I’m impressed with the distinct French and apparent Italian name your parents gave you; global consistency. Appreciate your detailed researched evidence that give credence to your personal theories. I’m in agreement with your postulation. Thank you Sir. Thank you for your nice words. I am glad that you enjoyed reading my post. 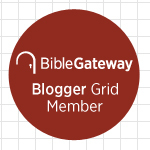 I invite you to develop a deeper appreciation for the Old Testament by subscribing to my blog. 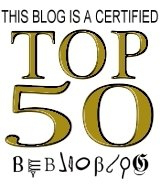 By subscribing to my blog you will receive all my future posts whenever they are published.